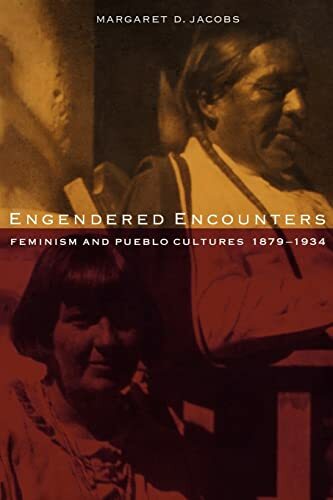 In this interdisciplinary study of gender, cross-cultural encounters, and federal Indian policy, Margaret D. Jacobs explores the changing relationship between Anglo-American women and Pueblo Indians before and after the turn of the century. During the late nineteenth century, the Pueblos were often characterized by women reformers as barbaric and needing to be &quot;uplifted&quot; into civilization. By the 1920s, however, the Pueblos were widely admired by activist Anglo-American women, who challenged assimilation policies and worked hard to protect the Pueblos&#x2019; &quot;traditional&quot; way of life.&nbsp;Deftly weaving together an analysis of changes in gender roles, attitudes toward sexuality, public conceptions of Native peoples, and federal Indian policy, Jacobs argues that the impetus for this transformation in perception rests less with a progressively tolerant view of Native peoples and more with fundamental shifts in the ways Anglo-American women saw their own sexuality and social responsibilities. Margaret D. Jacobs is a&nbsp;professor of history and the director of the Women&#x2019;s and Gender Studies Program at the University of Nebraska&#x2013;Lincoln. She is the author of <i>White Mother to a Dark Race: Settler Colonialism, Maternalism, and the Removal of Indigenous Children in the American West and Australia, 1880-1940 </i>(Nebraska, 2009).